On his website, Beck advocates "Abolish the Department of Education and let the states do it." Of course, that would wipe out far more funding for schools than the few cuts recommended by CAP, but neither logic or principled positions are Beck's forte. deceitful hypocrite or just burnt out? Before getting to the CAP report on education, there are a few deceptions Beck let loose that are worth noting. 1) The "bailouts that we can't pay for" were paid for by cuts in other areas of the federal budget including the closing of a tax loophole used by multinational corporations and by cutting back on food stamps. 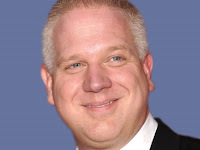 Was Beck's claim ignorance or purposeful deceit? 2) CAP is a progressive think tank and advocacy organization. They are running the country like a backseat driver is operating an automobile: by recommendations that the person operating the vehicle can accept or ignore. 3) Nowhere does the report seek to "just get rid of history, the Constitution, or education on finance." Getting rid of a $1.8M program that is unproven in its effectiveness and "not coordinated with ESEA Title II professional development programs..." is hardly getting "rid of history;" but it makes for hot-button rhetoric. Coming from someone who wants to eliminate all federal funding for elementary and secondary education is just flat out hypocrisy by Beck. In other words, more of the usual. In this report, CAP does what Beck does not: explain the recommendations they are making. Academies for American History and Civics, authorized under the American History and Civics Education Act of 2004, provides workshops for both veteran and new teachers of American history and operates Congressional Academies to instruct high school students. This is a small program with no supporting evaluation or performance reports. The teacher workshops are not coordinated with ESEA Title II professional development programs, which support increases in the number of highly qualified teachers and principals, or based on the needs of states and localities and those of teachers and students. We the People, authorized under ESEA, Title II, Part C, Subpart 3, Sections 2341-2346, is a noncompetitive, direct earmark grant to the Center for Civic Education to operate an instructional program for elementary, middle, and high school students on the U.S. Constitution and Bill of Rights, called “We the People: The Citizen and the Constitution.” The program has had a positive evaluation.10 Yet the Center for Civic Education’s curricula and materials serve a small number of students annually. The Obama administration proposed elimination of the program in the FY 2010 budget because it is too small to have an impact on history and civics achievement nationally. FY 2010 appropriation was $1,447,000. As the blog at CAP points out, "...the Obama administration, in it’s 2010 education budget, has $40 million for programs on teaching American history, and another $119 million for programs on teaching economics. Did Beck deign to mention these? Of course not. But none of them would exist if his plan to abolish the entire Education Department were adopted." This is Beck's methodology; Beck cherry picks facts that support his anti-progressive narrative and ignores what does not support that propaganda. It's difficult to tell if Beck is even aware of his own hypocrisies or they are the result of a mind ravaged by years of alcohol abuse, and the consumption of cocaine and marijuana. Either way, it's clear that his followers are not concerned about this. So long as Beck continues deceiving them in a believable manner - believable to those who don't bother checking into his claims - they will continue to embrace this gifted but deceitful propagandist.